Murder, mayhem, & masks. Plus a few unnecessary chair shots to the head. Lucha Underground is back! 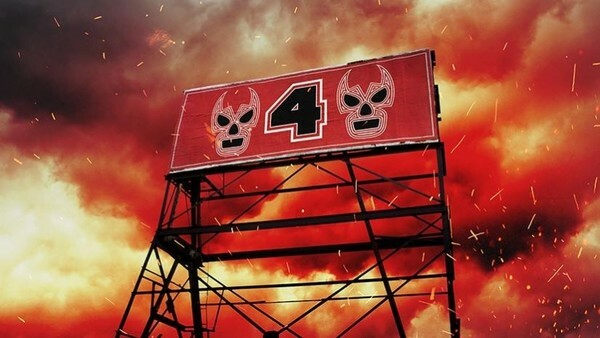 This week Lucha Underground returns from a long hiatus. We don't know how the budgetary changes or cast shakeup will affect the show's production values or quality going forward, but what we do know is that it will continue to be balls-to-the-wall lunacy in all the best and worst ways. After all, that's pretty much been their bread and butter since day one. It's a pretty safe bet that the major storylines and cliffhangers from the end of Season 3 will be resolved. The magic gauntlet, Dario's murder(?) and the desperate phone call to his father, Vampiro's new master, and the continued development of the Reptile and White Rabbit tribes are likely to be plot points going forward. But in the revamped Season 4, will old storylines and dead weight drop away to facilitate a fresh start? Over the course of the last three seasons, a lot of storyline threads have been woven into the show's tapestry, and some of them are fraying badly. Long-term viewers deserve to see both progression and closure after three years of investment in the show, even as Lucha Underground reshapes and redefines itself. And hopefully, LU will do right by the fans and resolve these storylines as Season 4 develops.